This is just in. 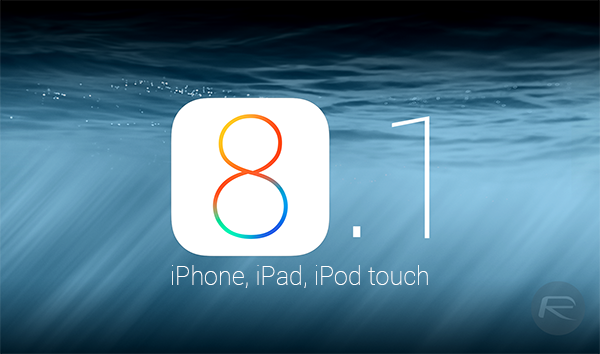 iOS 8.1 download links are now live by Apple. The roll-out of iOS 8.1 has been on the cards for a while now, and although the central feature of the new release has long been considered as Apple Pay, this rather significant update has plenty of other enhancements besides. Now, after a few weeks wait, it’s been primed and ready for download, and as well as direct firmware links for every single iOS 8.1-ready device, you’ll also find all of the relevant details after the leap. We’ve spent the best part of a month now acclimatizing ourselves to the slightly new feel of iOS 8, with Apple having made several key improvements across the platform, and no sooner do we begin to feel at home than does the Cupertino come through with a bunch more. Not that we’re complaining, mind, and while the new, convenient and contactless Apple Pay infrastructure finally gets the opportunity to make its mark, the Mac maker has quite a bit else riding on this particular update. iCloud Drive, for example, will allow iCloud users to store numerous files as they would on , Dropbox, Google Drive or Microsoft’s OneDrive. The iCloud we know is more of a back-up infrastructure that permits users to retain settings, photos, messages and the like on OS X and iOS, but with iCloud Drive, users will finally be able to store, manage and browse their files as they would in Finder. 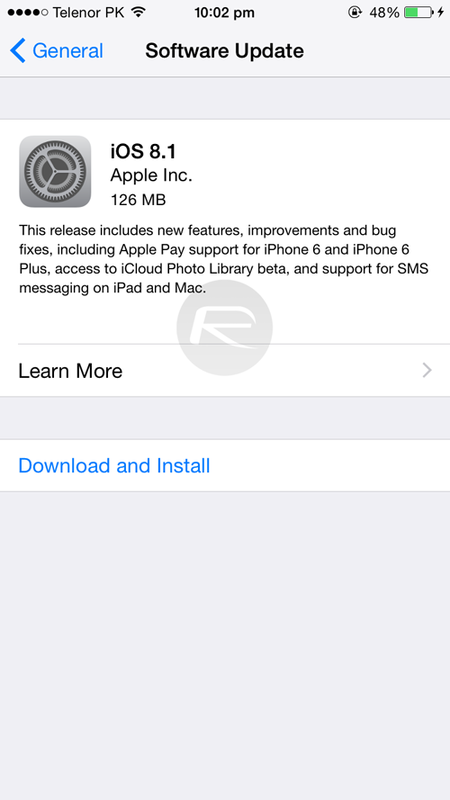 Several other features, including SMS Handoff, Instant Hotspot (Continuity feature that works with Yosemite), iCloud Photo Library, the return of Camera Roll and the usual assembly of bug fixes, have been packed into this very respectable early update, and as well as updating via OTA, you can also pick up the firmware file below and take the iTunes route. Every iPhone from the 4s onwards is supportive of iOS 8.1, and the same goes for every iPad barring the very first generation model. If you’ve a fifth-gen iPod touch, you can also grab the newly-dropped software, although if you are on any strain of iOS 7, remember that once you update you will not be able to jailbreak at this point in time, and also, that there’s no going back. website wont finish loading on iphone 4s why?